Newark, NJ (January 29, 2011) – Unbeaten lightweight Michael Angelo “The Artist” Perez of Newark, NJ will return to Puerto Rico on Friday, February 4 as part of the first ever fight card in the city of Lares at the Coliseo Felix Mendez Acevedo when he faces Marcos Herrera 6-3-1 (2 KO’s). Telefutura will televise the highly anticipate evening of boxing at 11:30 pm ET as part of their “Solo Boxeo Tecate” series. 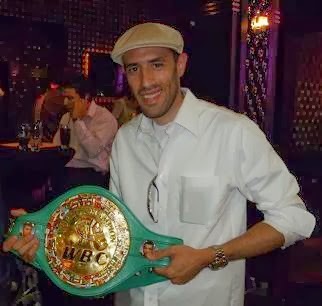 When the opening bell sounds, Perez, 11-0 (5 KO’s), will be less than two months removed from his December 10 eight round slugfest against Jose Hernandez. 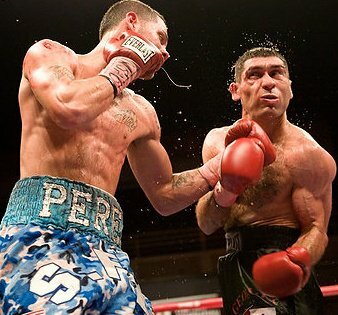 In that fight, his first scheduled for eight rounds, Perez dug deep to pull out a thrilling decision victory, leaving the capacity crowd in Agua, Buenas, Puerto Rico and fans watching at home on Telefutura on the edge of their seats throughout the contest. While most fighters would take a considerable amount of time before returning to the squared circle following a grueling slugfest, the 2008 National Golden Gloves Champion feels it’s his duty to represent what he calls his second hometown. Tickets start at only $12 and can be purchased by calling Ticketcenter at 787-792-5000 or visiting tcpr.com. The card is promoted by Golden Boy Promotions in association with Promociones Miguel Cotto and H2 Entertainment.